The core argument is that to understand heterogeneity in house price inflation, it is vital to understand the interactive dynamics in two markets that determine homeownership: First, the labor market, which shapes households’ incomes and; second, the market for mortgages, which shape households’ access to credit financial resources. It does seem they’re rather ignoring the actual cost of building a house. Why don’t we make the same mistake when thinking about cars? Because we’re used to making that mistake when it comes to houses. But not about cars. Why? Because the market for land and permissions is different to the market for pretty much anything else. 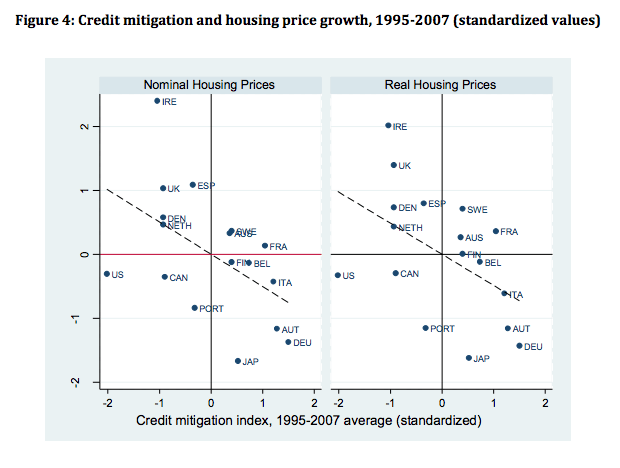 The reason financialization comes in as a determinant of house prices is because of chronic undersupply. Another thought related to my recent response re cars (which is – at the time of typing – still awaiting approval because there’s a link in it) we could equally say that high and appreciating values for second hand cars created “good” inflation and a nice wealth effect. That wealth effect could be easily achieved by limiting supply of new cars. But it would immediately be seen as stupid beyond imagination. Yet with housing? Everyone loves the idea. You sure about this? Residential house prices are determined by quite a few factors – some obvious, some not so, some valid, some manifestly incorrect. Some factors act directly, some indirectly. Its a very complicated piece of string. Two crucial matters – both of which seem to be fully misunderstood: (a) competition helps contain price (correct in theory, not so in practice) and, (b) Wealth Effect – this is the practice of psychological displacement. Sounds nice, looks nice, but is deeply problematic. Some other time. Now about the paper. The authors identify a triangular relationship between residential property prices – mortgage debts – nature of waged-labour employments. There are some real economic difficulties embedded in that triangle – that is, whether or not a ‘Household’ (howsoever defined) can afford the financial committment of a long-term legal debt liability given the significant changes that have (and are occurring) in those sectors of the waged-labour economy from whose different cohorts the prospective borrowers of mortgage loans should emerge. Our current so-called ‘housing crisis’ is conveniently mis-termed: Its not a ‘crisis’ – its the unforeseen consequence of four decades of doctrinal, ideologically-driven economic policies which have effectively severed the historical, robust and stable linkage between the aggregated costs of residential accommodation and the levels disposable incomes required to service long-term mortgage debt, including the costs of the care and maintenance of an owner-occupied residential property. The Irish situation is such that it is now intractable: it cannot be resolved. It is politically and economically impossible to reduce housing costs by 70% (pop the Wealth Effect bubble) or increase waged-labour incomes by threefold (prices of goods and services would escalate madly). Either of these two actions might succeed in restoring the abovementioned, historical relationship between costs and disposable incomes. But, as I opine – it ain’t gonna happen. And just look at what the World Bank is advising about future employments. That would do wonders for home ownership? Expect copious effusions of political and economic bullsh*t about the above issues from the usual sources.